The 2018 Chevrolet Impala is an exceptional family sedan. The vehicle is spacious, comfortable, quiet, and enjoyable for drivers and riders alike. Learn more about this stellar sedan by continuing on with this blog post. If space is important to you, know that the 2018 Chevrolet Impala delivers. Riders in the backseat can enjoy generous headroom and legroom, whether they are children or adults. For even greater space, the trunk of the sedan is one of the largest in its segment. Tackle family road trips or trips to the grocery store with ease using the 2018 Impala. This year marks the fourth generation of the Chevrolet Impala. In this new generation, the vehicle offers outstanding technology features that keep up with the innovative market. Included in these features are a rearview camera, keyless entry, keyless start, and the MyLink infotainment system. MyLink is Chevy’s infotainment system that works alongside Bluetooth, Android Auto, and Apple CarPlay. Users can sync their smartphone to their Impala to stream music, access apps, use navigation, and so much more through the 8-inch touchscreen. 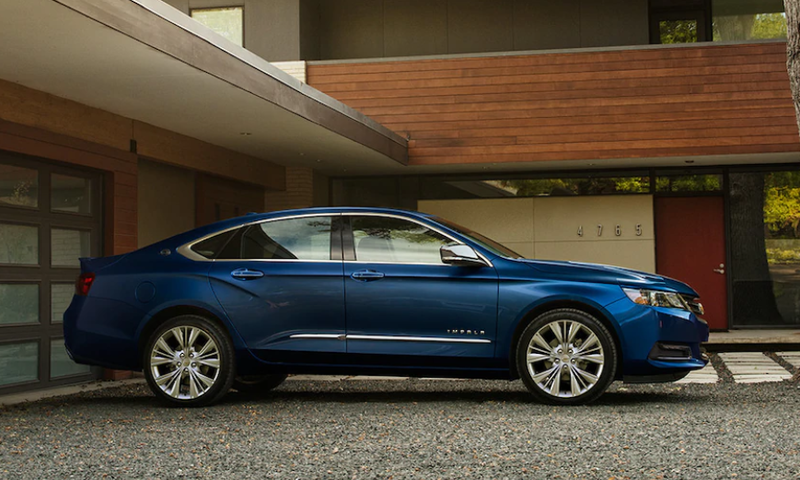 The 2018 Chevy Impala offers comfort and entertainment, perfect for families of all ages. Additionally, this vehicle provides an enjoyable driving experience. The vehicle is available with a 305 horsepower V6 engine under the hood, allowing for an aggressive and exciting performance. This vehicle is perfect for daily driving with a little extra flair. Interested in making the 2018 Chevrolet Impala your next vehicle? Find this sedan on our lot at New York Autobrokers. New York Autobrokers can help you find and finance your dream vehicle. Learn more about our inventory and our services by calling 631-446-4455, or emailing us at info@nyautobrokers.net. We look forward to working with you soon and can’t wait to show off the 2018 Chevrolet Impala!